sizes are Small thru XL; Unisex sizing on this item. 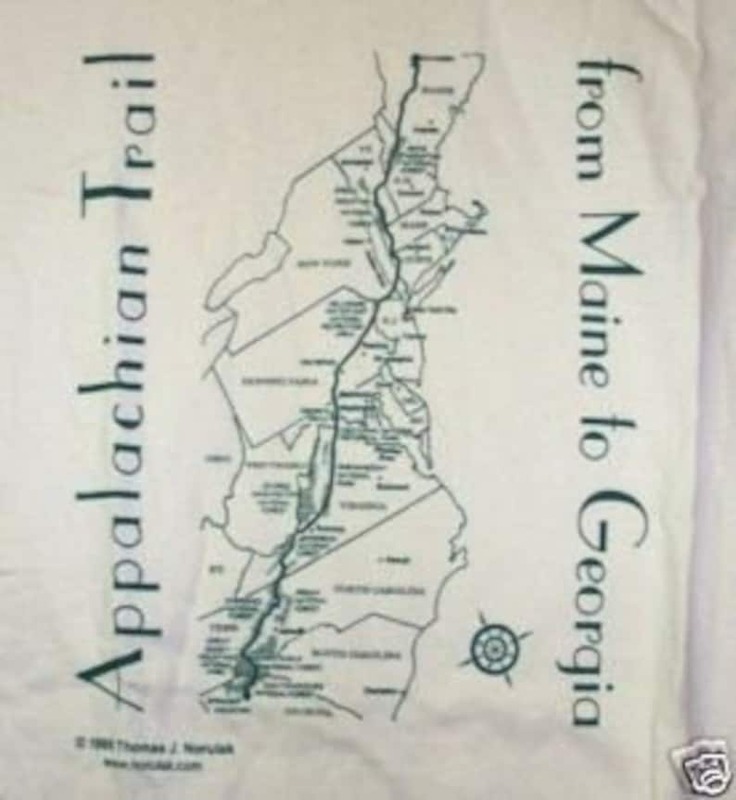 Image depicts the entire Appalachian Trail from Maine to Georgia; full front imprint; printed by Norulak Screen Printing in Pittsburgh, PA. 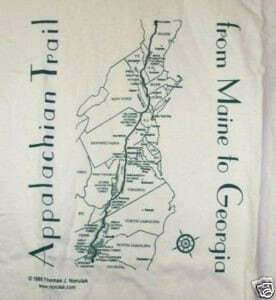 Priority mail shipping is $7.50 in USA. Image copyright Thomas J. Norulak.